The elusive narrator of this beautifully written, complex, and powerfully disconcerting novel is the scion of a decayed aristocratic family from the farther reaches of the defunct Austro-Hungarian Empire. In five psychologically fraught episodes, he revisits his past, from adolescence to middle age, a period that coincides with the twentieth century’s ugliest years. Central to each episode is what might be called the narrator’s Jewish Question. He is no Nazi. To the contrary, he is apolitical, accommodating, cosmopolitan. He has Jewish friends and Jewish lovers, and their Jewishness is a matter of abiding fascination to him. His deepest and most defining relationship may even be the strange dance of attraction and repulsion that throughout his life he has conducted with this forbidden, desired, inescapable, imaginary Jewish other. And yet it is just this relationship that has blinded him to—and makes him complicit in—the terrible realities of his era. 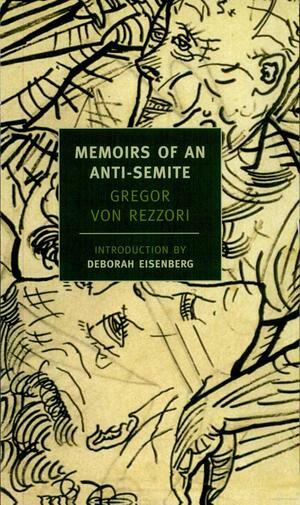 Lyrical, witty, satirical, and unblinking, Gregor von Rezzori’s most controversial work is an intimate foray into the emotional underworld of modern European history.